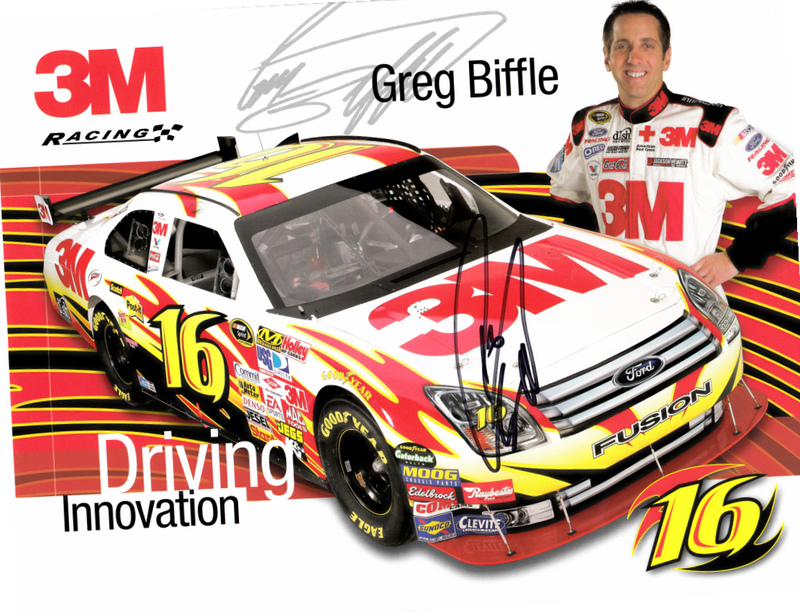 8 1/2 by 11 inch 3M Racing photo card autographed in black marker by superstar NASCAR driver Greg Biffle. With certificate of authenticity from AutographsForSale.com. 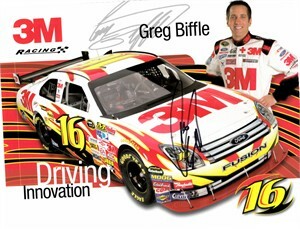 ONLY ONE OF THIS POSE AVAILABLE FOR SALE.